Introducing our "In the Round" collection. 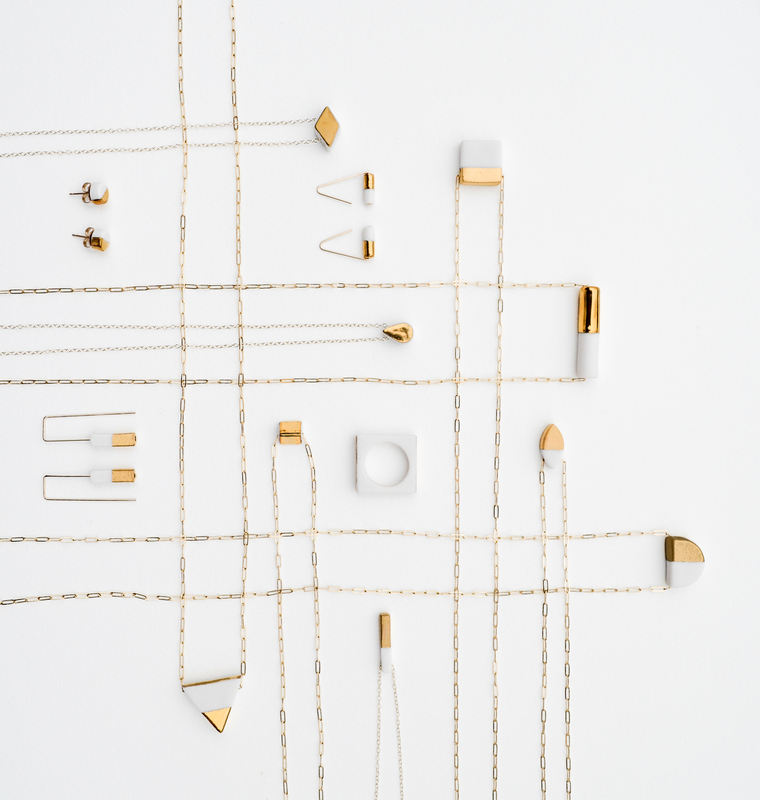 A new line of luxury and modern jewelry featuring beautiful porcelain complete with shiny and matte gold finishes. Our porcelain jewelry line now includes rings, bracelets, and more 14k gold filled metals. We want to extend a special welcome to our fans who heard about us in the Charlotte Observer. We think you will find pieces that fit your style and give you that elegant and effortless look!